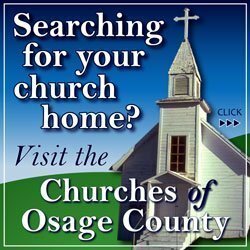 Summer activities are winding down for Osage City Parks and Recreation, but the Osage City Aquatic Center remains open on weekends through Labor Day, and signup for fall activities is underway. Check out upcoming opportunities to participate in youth soccer, youth flag football, cheerleader camp, volleyball camp, and a countywide volleyball league. OCAC Pool Hours – August 7 to Labor Day, Saturday and Sunday only, 1-6 p.m. (includes Labor Day). Daily Admission, $3 (Age 4 and above); age 3 and below FREE; age 65 and over FREE. OCAC Swim Pass Booklets – 50 Swim Card Booklet, $50. Divisions – U6, U8, U10, U12, U14, All divisions coed. OCPR teams participate with Overbrook and Lyndon. Games are rotated between Overbrook, Lyndon, and Osage City. OCPR players receive a team jersey, shorts, and socks. Players supply their own shin guard and cleated shoes. Team Practice can start the week of Aug. 28, if a coach is assigned. Signup deadline – August 21. 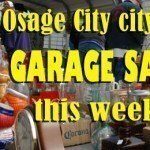 Signup forms will be available at Osage City Hall, sent through the Osage City Elementary School when school starts, online at www.osagecity.com (click Departments and Parks and Recreation), and in the Photos Section of the Osage City Facebook Page. Divisions – Pre-K/K, 1st/2nd grade, 3rd/4th grade. OCPR teams participate in the North Osage County Flag Football League. A player younger than 5 years of age on or before Sept. 1, 2017, is too young for the Pre-K/K Division. Teams can start practice the week of August 28, if a coach is assigned to their team. League games are played Sundays, end of September through the end of October. All games are played in either Carbondale or Burlingame. Program fee is $30 per player. Players receive a team shirt and participation award, and equipment is provided by OCPR. September 6: Parent meeting, 6:30 p.m.; practice, 6:30-7:30 p.m.; OCHS Gym. September 11: Practice, 6:30-7:30 p.m.; OCHS Football Field. Cheerleaders will learn 3 sideline cheers, one added cheer, the OCHS school song cheer. Each cheerleader receives a camp shirt. Recommended practice clothes – shorts, sneakers, socks, T-shirt, dress appropriately for the weather. Camp performance – September 15; OCHS Football Field. Performance with the OCHS Cheer Team during the first half of the game. Open to ALL 3rd-6th graders in Osage County and the surrounding area. All players receive a camp shirt and each 6th grader receives a special OCPR volleyball. Volleyball instructors – Chelsi Gardner and OCHS volleyball players. Session dates and time – 6-7 p.m. Wednesdays, September 13, 20, 27 and October 4, 11. 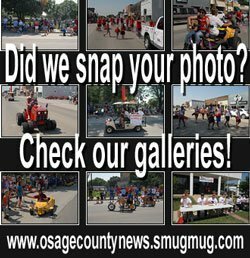 Location – Osage City School Gyms. Open to ALL 5th and 6th grade volleyball teams in Osage County and the surrounding area. OCPR is offering a 5th and 6th grade recreational volleyball league for area town teams. Teams play a minimum of 4 matches; each match session is 3 total game; and rally score for each point. Game #1 and #2 are played to 25 points and Game #3 is played to 15 points. No standings are kept and no awards handed out. OCPR supplies the game ball. League team fee – $50 per team. League dates and time – 7-8 p.m. Mondays, September 13, 20, 27 and October 4, 11. Signup deadline – September 8.